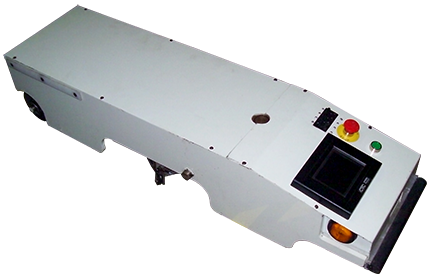 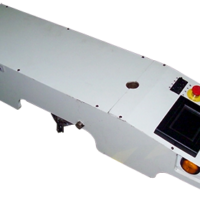 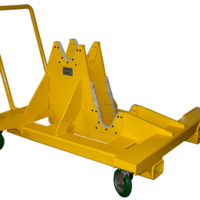 Rail-Based, Battery-Powered Cart - Aura Systems, Inc. 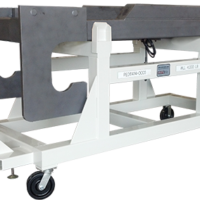 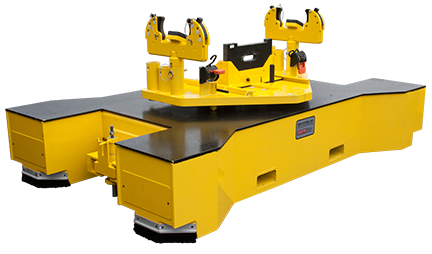 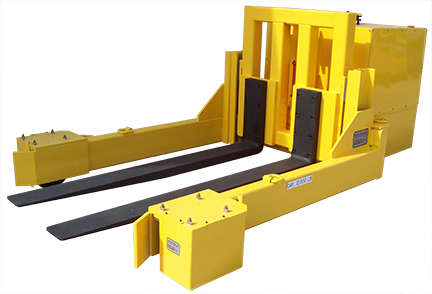 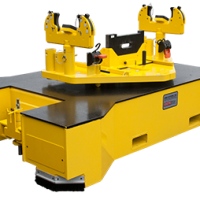 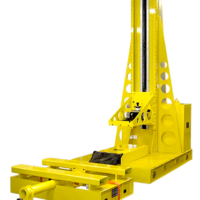 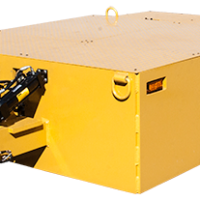 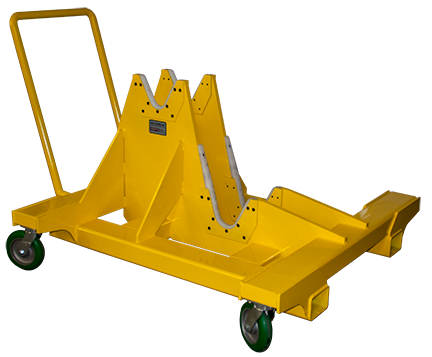 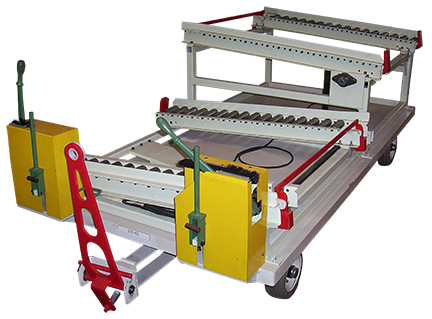 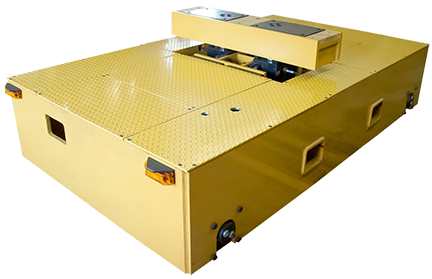 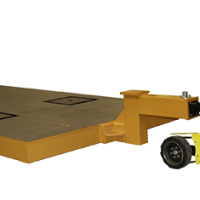 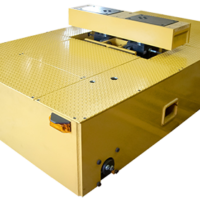 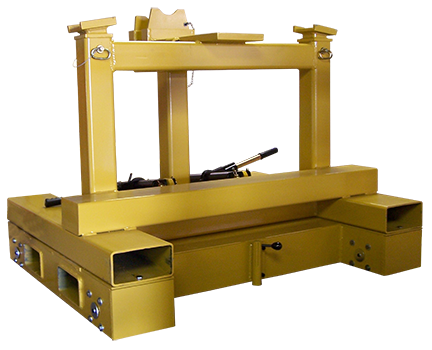 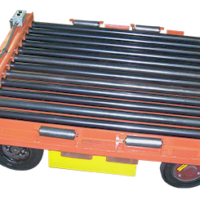 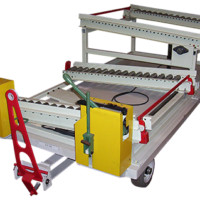 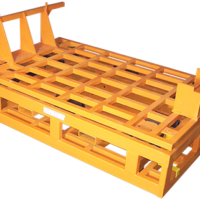 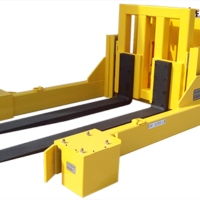 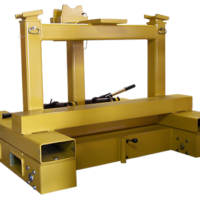 The Rail-Based, Battery-Powered Cart is a Load Movement device with a towing capacity of 500,000 Ibs on a heavy equipment assembly line. 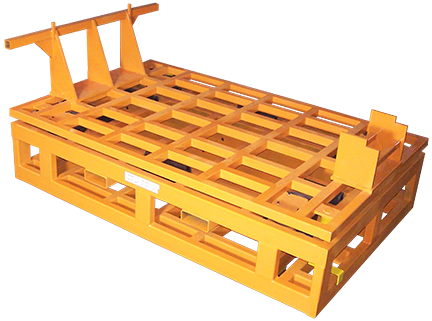 An Earth Mover frame weighing up to 80,000 lbs is set on the Cart to aid in mating up to a tractor portion. 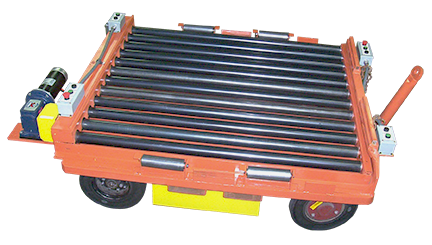 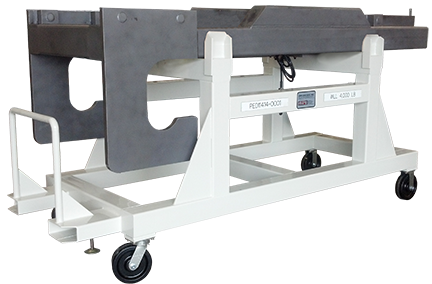 The Cart can power an entire assembly on the rails.